Hi all, thank you for stopping by! ...I will share with you what I did accomplish. A friend of mine gave me her mirrored compact that was just one of those "cheap-y" kind you get at the dollar store. It had a silver type coating on the outside that was starting to chip off, so she thought I could come up with something to spruce it up a bit so this is what I did for her. This is the other side, and this image is from the Graphics Fairy. I get a lot of my images there, however, I'm sorry I don't remember where the image of the vintage lady is from. Then, I did a bit of sanding and painting some old frames I had. 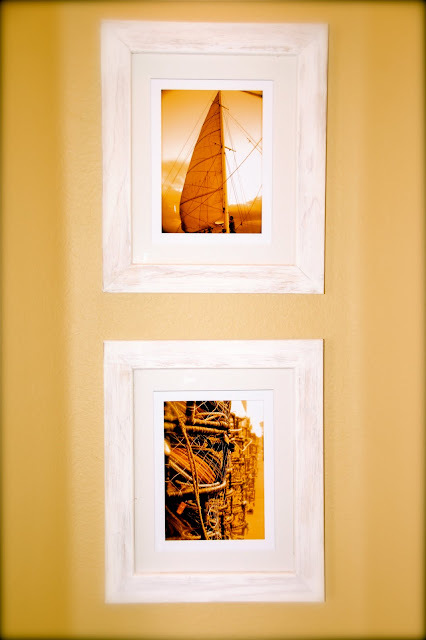 I printed out some nautical photographs that I've taken over the years, and put them into the frames. I was pleased with how they turned out, and it didn't cost a dime, so what do you think? So, today I think I'll just lounge around and rest with the kitties in hopes of feeling more energetic tomorrow. Those nautical photos are fantastic. They would look great in my bathroom lol !!! Isn't it funny how when we rest our kitties are more than happy to join us? I feel like doing just that...it's raining and a little damp here by the ocean. Instead I'm baking! Becca, you both look like you've had a busy weekend! Nothing can calm a person more than cuddling up with a kitty! The frames turned out nice. We have been lazy here this weekend too, but I blamed it on the weather. I am ready to see some sunshine. Love & blessings from NC! Becca~ what a cute photo of you and your cat! 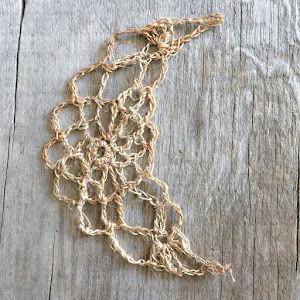 Your projects turned out great! Pamper yourself a little and I hope you're feeling better soon! Wonderful projects & I love the photo of you resting with your kitty! Hope you feel better soon! I so glad you posted the compact! I love the way it turned out... Hope you are feeling better.. Talk to you soon.